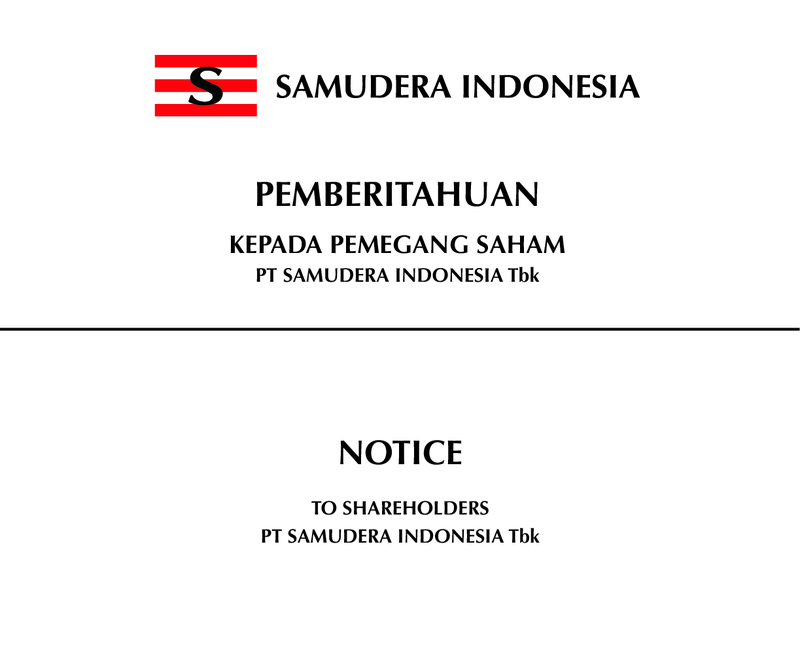 Notice is hereby given that the Annual General Meeting of Shareholders for the Financial Year 2016 PT Samudera Indonesia Tbk will be held on Tuesday, May 24, 2017 at Soehanna Hall, The Energy Building, SCBD Lot 11 A, Jl. Jend Sudirman Kav. 52-53, Jakarta Selatan 12190. 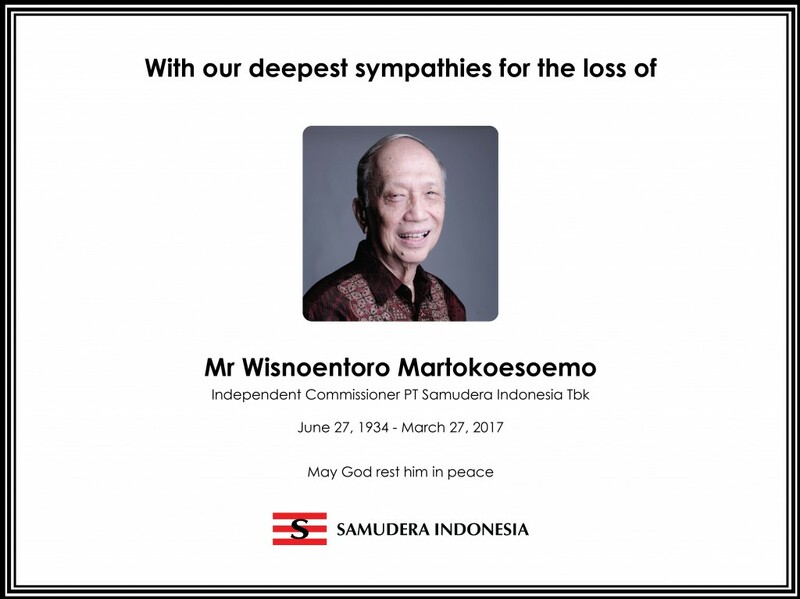 Samudera Indonesia is deeply saddened to inform that our Independent Commissioner, Wisnoentoro Martokoesoemo passed away on Monday, March 27, 2017.